Fireworks blast hits Nigerian city Jump to media player A fire at a warehouse storing fireworks has ripped through Lagos, Nigeria's biggest city, killing at least one person. 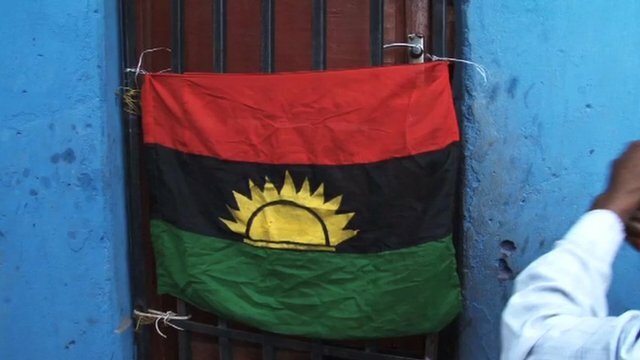 Biafrans still dream of independence Jump to media player It is more than four decades since the end of the civil war in Nigeria which saw the army fighting to stop the east of the country, known as Biafra, from breaking away. A huge fire has broken out in Lagos, Nigeria's biggest city, after an explosion at a warehouse where fireworks were being stored. 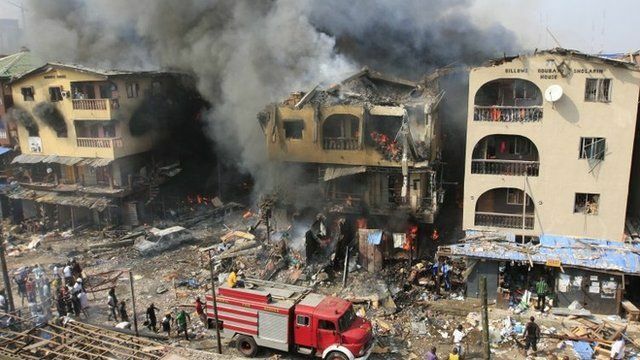 The blaze quickly spread to other buildings in a densely populated market district on Lagos island. At least one person has been killed and many are reported to be injured.